Today, if you are commercially published, it is expected that you will work to sell your own book. If you have self-published, you are entirely on your own. The internet allows authors the chance to reach out to potential readers. That means we have to use the opportunity, because every other newly published author already is. Goodreads provides author’s pages. So does Amazon. Even though Amazon now owns Goodreads, they still operate separately, and you need to be on both. Goodreads provides a website as part of the author page. I use it, but I don’t suggest it as a main website. You need reviews in both places. That’s where a gaggle of friends comes in handy — oops, I forgot. We’re introverts. That’s why we are on social media instead of down at the corner bar. Facebook is supposed to be the answer. It wasn’t for me. I found that I was simply repeating on Facebook what I was already saying on my website, so I let it lapse. I don’t suggest that. Facebook allows your readers to share that they have found you, much easier than a website does, but in my case, I didn’t have the time to do both. My own situation was unique. I had forty years of experience in a lot of fields. Writing, teaching, anthropology, archaeology, history, South Asian studies, maritime history, carpentry, musical instrument making, studying ecology, growing up with the space race, farming, growing up white on the edge of the South and learning how wrong we were by watching the civil rights movement, turning atheist in a Southern Baptist household and having to deal with that. On top of that, I had a lot of unpublished and under published material at hand. My own situation was unique. I had forty years of experience in a lot of fields. Writing, teaching, anthropology, archaeology, history, South Asian studies, maritime history, carpentry, musical instrument making, studying ecology, growing up with the space race, farming, growing up white on the edge of the south and learning how wrong we were by watching the civil rights movement, turning atheist in a Southern Baptist household and having to deal with that. On top of that, I had a lot of unpublished and under published material. If you are coming in from Westercon, that probably seems like exaggeration. If you have been with me since this site started, you may be getting tired of hearing about it. I began a site with twin blogs, Serial which provides serialized fiction, and A Writing Life which consists of mini-essays. It’s a blog site that is more like a magazine and it takes as much time as it sounds like it would. If you are young, you certainly don’t have the option of doing what I’ve done, but you have other options in social media that I probably don’t even know exist. Let’s circle back now to writers who aren’t yet published; who may not even have finished their first novel; who may not even have started their first novel. You can still blog about your process. When I was just learning about blogging I came across the book How to Blog a Book by Nina Amir. I recommend it, although it didn’t work for me. My work habits don’t fit the approach, but if you are the kind of person who makes chapter by chapter outlines before you begin to write, check it out. Making a blog is free and fairly easy on WordPress. Or do the equivalent on Facebook, or Twitter, or whatever comes out next. Then take this advice from an old curmudgeon who would never take the advice himself. Get all the support you get off the internet and hug it close. Thank the people who “like” you, and “like” their work in turn, if you find it worthwhile. If it helps you, go back to your favorite happy comments when you’re feeling low. At very least, these people are offering a safe place to speak in “public”. It’s probably the only safe place on the internet. Don’t abuse it with the criticism. And don’t think that being liked, or “liked” by your fellow wannabes means much to the larger world. Read and compare your best work with the best in the world. Don’t expect to be that good. Read Shakespeare for humility, and to steal his cadences. You already know his words; he was the first person to use half the words in the dictionary. As an introvert, you should already know that Mama’s praise, and disdain from that bully down the street, both mean nothing. Compare your work to the best and don’t expect to get to where they are right away. Or ever, if you are reading the masters. Compare your work to those who are successful in your field in order to set reasonable goals. Compare your work to published mediocrities and join the ranks of the thousands of writers who have said, “Hell, I could write better than that.” Then go out and prove it. But don’t think you’re there yet. There are a million mediocrities who also write better than that guy. They just aren’t married to the editor. You don’t let the harsh words of those who don’t like you hold you back? Good. Now take the harder step, and don’t let the unearned praise of your friends make you complacent. The last word, which is also the first word, on the subject of how to “Fake it till you make it,” is — Get a good day job. Do something you like, something you wouldn’t mind spending a lifetime at. 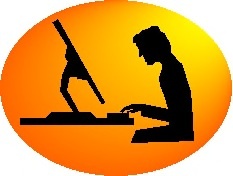 You may never sell; even more likely, you probably will never make a living at what you write. Don’t stop writing, but don’t bet your future on success. Go to a large used book store, look at the science fiction section, and figure out how many books were written by people who only saw a few of their works published. Some of these books are classics. Some are mediocre. All of them were written by people who were not making a living at writing. Want to be a veterinarian? Do it. Want to be a college professor? Do it. Want to be an organic farmer? Do it. Want to be a librarian? Do it. Want to teach middle school science? Do it. Keep writing on the side, and let success take care of itself. This entry was posted in A Writing Life and tagged fantasy fiction, literature, science fiction, writing on June 20, 2017 by sydlogsdon.